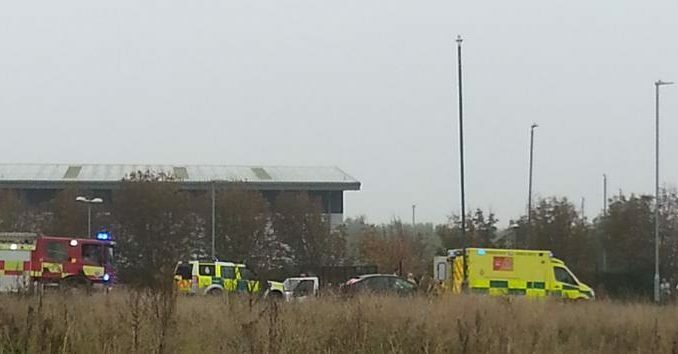 Emergency services have attended an industrial accident at Manston today (October 15). Kent Police was called by South East Coast Ambulance Service at midday regarding the incident at Manston Business Park in Columbus Avenue, Ramsgate. Kent Fire and Rescue Service were also at the scene. It is understood a worker accidentally drilled through the main power cable. A Kent Police spokesman said: “A man was treated for serious injuries and was taken to a London hospital for medical attention.